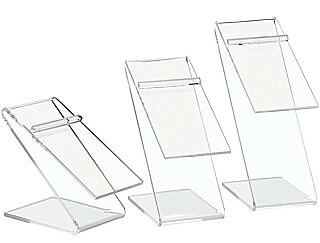 Our Clear Acrylic Shoe Risers are High Quality, Durable Units to Make Your Products STAND OUT! 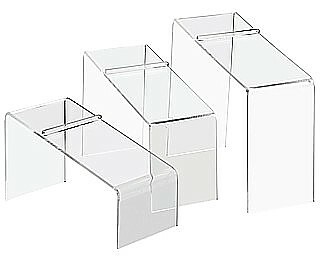 Our 3/16" Thick Shoe Risers are Rugged and Built to Last! We Have 2 Styles to Choose From to Make the Most of Your Footwear Displays! ZSR5 3" x 6" x 5"
ZSR65 3" x 6" x 6 1/2"
ZSR8 3" x 6" x 8"
SHR5 4" x 9" x 5"
SHR7 4" x 9" x 7"
SHR9 4" x 9" x 9"